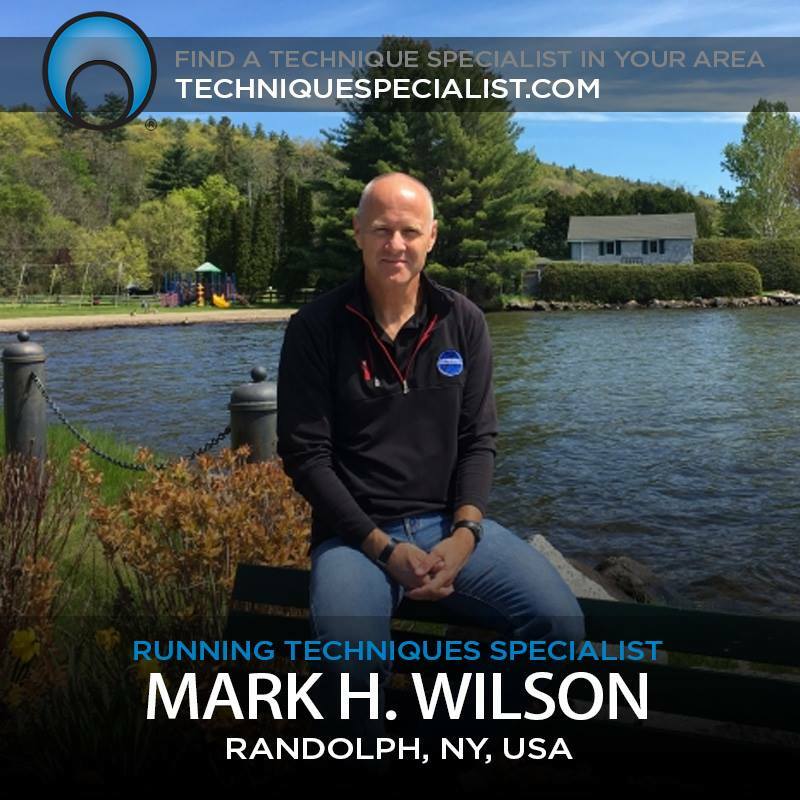 Mark H. Wilson is a highly-accomplished triathlete and coach with more than 25 years of experience. 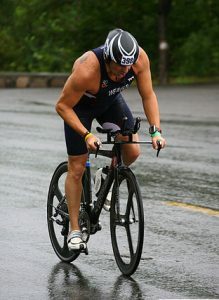 As an athlete, Mark has achieved success as an Ironman 70.3 World Championship Finisher and was a eight-time finisher in the Ironman USA Lake Placid with a P.R. of 10:59:40. Other career highlights include nine-time finisher in the S.O.S (Survival of the Shawangunks), Escape from Alcatraz Qualifier – Westchester Triathlon and he was also a eight-time USAT All-American. Being a competitive runner since the age of 12, Mark was excited about the prospect of being as fit as the triathletes he had seen in national magazines. They seemed like the fittest people on the planet. 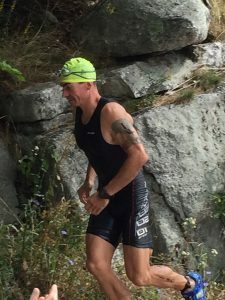 Having already completed several marathons, it seemed feasible to Mark to jump right into the half-distance triathlon; it went very well and lead to a lifelong interest and profession in the sport. Finish line never felt so good. 10th Ironman in my 50th year. 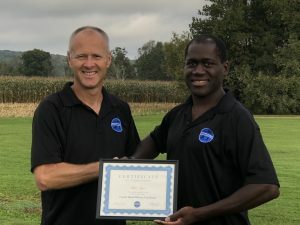 As a professional coach, Mark has performed countless triathlon training camps all over the United States as a USAT Level I and lI Certified Coach. Mark has also individually trained thousands of athletes. His coaching honors run the gamut and include Ironman Triathlon World Championship, Ironman 70.3 World Championship, ITU Olympic Triathlon World Championship, ITU Sprint Triathlon World Championship, Lifetime Fitness National Championship, USAT Age-Group All-Americans, ITU World Championship Qualifier – Athena Champion, and USAT Ironman National Championship – Athena Champion, as well as Hudson Valley Magazine 2008 Triathlon Coach of the Year, just to name a few. 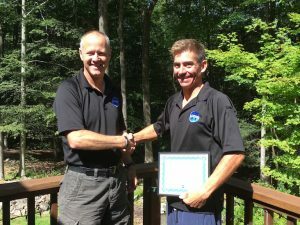 Mark is the founder of two triathlon clubs; Hudson Valley Triathlon Club (HVTC) and Southern Tier Triathlon Club (STTC) in the Hudson Valley and Western NY, respectively; both host a mid-week Summer Tri-Series June-September which are sanctioned by USA Triathlon. These grass-roots events are fun for beginners and speed sharpeners for seasoned triathletes, alike. As an 8x All-American athlete, nationally renowned coach and race director for the past 25+ years, Mark knows what athletes are looking for in a race experience and can help your organization provide a professional, well executed event in your neighborhood or city. 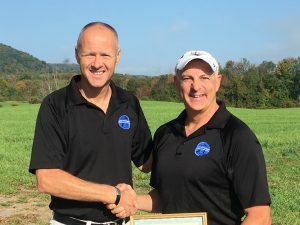 With the creation of Wilson Endurance Sports, LLC, Mark, along with wife and partner, Tonia, are producing 26 races in New York State for 2019. Mark is also a Professional Life Coach. Through his uncanny motivational and training skills, Mark has inspired hundreds of athletes to pursue their dreams and personal goals. His contagious positive energy and passion for triathlon has made him one of the most beloved coaches in the sport. One of Mark’s coaching mantras perhaps sums it up best: Participating in the sport of triathlon may cause radiant health and spiritual well-being. In 2002, I had just become a father and quit smoking. My wife bought a running stroller and we started jogging a couple days a week as family. I, of course, got to push the stroller. I loved the way I felt when we were done running and my daughter loved going for a ride in the stroller. As the next couple of years past, I started an Electric and HVAC business, bought 2 rental properties and was working 2nd shift as a electrician. I barely had time to sleep. Oh yeah, and had a 2nd daughter in 2004. As you can expect, I got away from running and family time. I also gained 40 pounds and was always tired. I was very stressed and needed a change to my life style. I quit my 2nd shift job and started to sell off some of my rental properties. But this still wasn’t enough, I was still stressed and overweight and I decided to set a New Year’s Goal in 2008… to do a triathlon that summer. I had to get to work since I did not know how to swim. I found an adult swim class at the local YMCA and learned how to swim. While at the Y I met an athlete, who recommend a triathlon to do. As the weather started getting a little nicer, I began riding and running a little. The day of my first sprint Tri arrived quickly in June. The gun sounded… I jumped into the water and started to swim as hard as I could… I started to get a little winded and second guessing myself out in the deep lake so I looked up to see how everyone else was doing and I realized I swam the wrong way. So, needed to get back with the pack and slowed my breathing and tried to relax and enjoy the moment. I completed the swimming and biking, then the run. It was hard, I was not in good enough shape yet and needed to stop for a breather here and there. I found the finish line and what a great feeling to finish. I was hooked! What a cool thing 3 sports in 1. It was a huge challenge, but I knew I could do better and could not wait for the next one to see if I could improve. So now, years later, I have taken on countless training classes to improve my swimming, biking and running. I have worked with 4 different coaches, and also trained and raced with some of the grittiest and talented athletes around to try to hone my craft. I have now completed 2 full distance triathlons, 12 halves, several international distances and 100’s of sprints. Now, I am in the best shape of my life and still love the sport as much as the day I completed my 1st one. The past 9 years have the best of my life. I love being active, setting goals and working to accomplish them. My big goal in triathlon was to do a half in 5 hrs. It took me years of training and racing to figure out how to complete a half in 4:45. The fact that triathlon does not come easy to me has made me work hard at it. I realized I CAN do this, while my wife and I are working and with 2 daughters doing travel sports proves that it can be done even if you are busy. Being active helps keep me in shape, feeling good and healthy. Coaching Philosophy: I want to be there for my clients, to help them achieve their goals no matter what they are. Run their first 5k, lose weight, get faster or go farther swimming, biking, and running. Troy Weaver is an accomplished triathlete and coach with more than 25 years of experience. As an athlete, Troy has achieved success as a Sprint Distance World Championship Finisher and is a seven-time finisher in the 140.6 distance in Florida. Other career highlights include 2003 Greater Atlantic Multisport Series Winner and 2012 HITS Sprint Triathlete of the Year. He is a member of the USAT Century Club having completed over 155 multi-sport events in 19 states. Being a competitive athlete since the age of 7 in the sports of football & baseball, he realized at an early age the importance of a healty lifestye. Troy took up weight training and swimming after a back injury ended his chances of playing football in college. In 1986, while completing his dual major in Recreation/Fitness Management and Health & PE, Troy had the opportunity to spend a year in Australia, where his main mode of transport was a bike thus starting his passion for cycling. But it’s what happened in summer of 1995 that set wheels in motion. He participated in the Colonial Beach Triathlon and was hooked from the exit of the swim. Shortly after that event he was told there was no way he could ever complete the 4.4 mile Chesapeake Bay Swim, because he was “not a swimmer”. Well, it was game on from there! Not only did he do it but he did it twice. He brings that same dedication and passion to the athletes he coaches. As an executive & trainer for the YMCA for over 24 years Troy has logged countless hours training adults in Membership Engagement, Principals of Health and Fitness, Strength & Conditioning, Lifeguard and Lifeguard Instructor. He is also certified in CPR, First Aid AED & Oxygen administration. Troy has inspired numerous athletes to pursue completing their first triathlon and several on to complete the infamous 140.6. His contagious positive energy and passion for life has made him an asset to the sport. I am your Triathlon Ambassador! 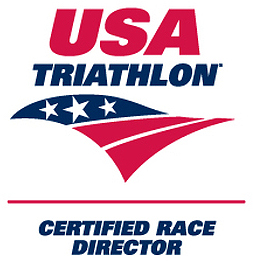 A trusted advisor to health, wealth and the sport of Triathlon! I competed in my first triathlon in the summer of 2013 after the birth of my first child. I was still young, in my early 30’s, however felt out of shape compared to my previous life experience. That event helped start a chain of events that lead to three generations of Triathletes in my family. My mother, sister and niece have all competed in and enjoy the sport of Triathlon.